If you have concerns about undergoing any invasive cosmetic dentistry procedures, be assured that there is always a less intensive alternative to help you feel comfortable with your smile makeover from Dr. Michael J. Wei, NYC cosmetic dentist. 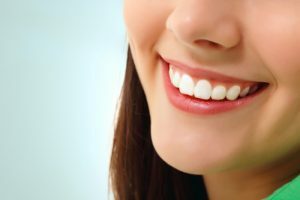 The biggest difference between prepless veneers and traditional veneers is the way your teeth are primed for this cosmetic dentistry procedure. Prepless veneers require little to no special prepping of your teeth for the veneers to be secured in place, and they give you the same amazing, natural-looking result as other veneers. Both veneers and prepless veneers are made of super-thin, super-strong porcelain that, when well cared for and applied masterfully, will give you a spectacular smile you can enjoy for decades. Both types of veneers correct the same cosmetic complaints, including chips, gaps, long teeth, short teeth, misalignment, stains, unevenly sized teeth, and worn enamel. In the prepless veneer procedure, teeth are cleaned and lightly sanded to eliminate surface stains, shine, and minor imperfections on the enamel. This step ensures that nothing interferes with the color and thickness of your permanent veneers. This is all the preparation your enamel needs to make room for your customized veneers. Prepless veneers also stand out for their incredibly thin composition – this characteristic means the color of each veneer is even more important, as the shading must be carefully determined to blend well with your natural tooth enamel underneath. In the porcelain veneer procedure, the minimal amount of enamel is removed from your natural teeth so each tooth can accommodate its veneer and create a strong seal. Some patients balk at this part of the cosmetic dentistry procedure because it involves the irreversible step of grinding away tooth enamel. Veneers, in any form, remain one of the most versatile and effective cosmetic smile makeovers available. Prepless veneers truly transform teeth and smiles so the patient looks happier, healthier, and younger. The key is to choose a cosmetic dentist who is trained and experienced in the artistry of placing prepless veneers. The thin, durable porcelain used to construct your unique prepless veneers is only one part of the equation. For these veneers to look amazing, you need a dentist who is prepared to work meticulously on every tooth so each veneer is uniquely natural-looking and every tooth blends together into a seamlessly flawless smile that complements your overall appearance, skin tone, and face shape. Prepless veneers, done well, are subtle but powerful. They transform your smile into the very best version of itself. The design, development, and placement of veneers is an art form, and every detail – from the color of the veneers to their luminosity – is carefully considered by your Manhattan cosmetic dentist to create teeth that look natural. Every cosmetic dentistry procedure begins with a dental exam. Your NYC dentist first needs to confirm that your oral health is in good condition and that your teeth are strong, clean, and healthy enough to receive prepless veneers. Your cosmetic dentist will also evaluate the types of aesthetic complaints you have about your teeth to determine whether prepless veneers are the answer. In some instances, other cosmetic dentistry treatments will be a better solution for improving your teeth, such as traditional porcelain veneers or Cerinate Lumineers. Your New York City cosmetic dentist will let you know of every available smile makeover option so you can make the choices that are right for your smile goals, budget, and timeline. 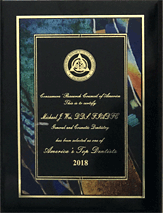 If you have long wanted to improve your teeth but haven’t taken the plunge because you’ve been worried about an invasive procedure, or are concerned about natural-looking results, choose a Midtown Manhattan dentist who is dedicated to creating your one-of-a-kind flawless smile makeover. 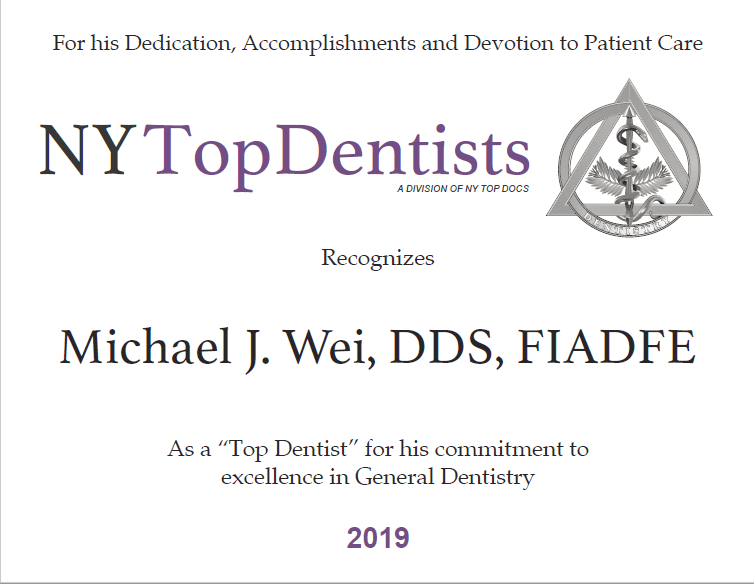 Contact Dr. Michael J. Wei to discuss the cosmetic dentistry options that are right for your smile.